New construction home in the premier community of Palmetto Hall Plantation! The homesite has a beautiful golf view of the 11th Fairway of the Author Hills Golf Course and a lagoon beyond. This new construction home is perfect for entertaining and features an open floor plan, gourmet chefs kitchen, luxurious first floor owner suite, spacious in law suite, entry to the laundry room from the master closet & family foyer, covered lanai, walk-in storage and an oversized garage with room for 2 cars, golf cart and workshop. See 3D VT link. This home offers great value! When you drive up the quiet cul-de-sac, you're presented with this spacious home w/quaint side garden & attached 2-car garage w/golf cart bay. Curl up next to the fireplace in the large living room or enjoy the media/bonus room upstairs. Peaceful Carolina Room offers a fountain view into the backyard, set up perfect for entertaining. Enjoy a dip in the temperature-controlled pool any time of the year! The kitchen is equipped w/double ovens, gas cook-top & butler's pantry. The master bedroom is on the 1st floor and has NEW hard wood floors throughout! Don't let this home slip away! Situated perfectly on a private lot, surrounded by golf course and water views in Palmetto Hall Plantation, this custom built home is priced to sell fast! Offering 4600+ heated sqft, a new roof in 2018, 3 car garage, two master suites on the main floor, 3 additional upstairs bedrooms with private en-suite baths and walk out balconies, large walk in floored attic spaces, a loft, formal living and dining, an office, and crown moldings throughout the entire home. Built for entertaining with lush landscaping bountiful exterior spaces, surrounded by preserved land on three sides and located at the end of a cut-de-sac street. A MUST see home. Meticulously maintained custom built home on over-sized lot overlooking dry marsh and golf views. Fabulous gourmet kitchen with gas cooktop, huge island, and corner fireplace. First floor ownerGÇÖs suite with large walk in shower, garden tub and huge walk in closet. Great room with dining area, hard wood floors. 2nd floor has two large guest rooms each with ensuite baths and office/computer area. Enjoy the partially covered deck with room enough for outdoor dining and multiple seating areas and grill deck. New roof, new HVAC, new landscaping. Two car garage with golf cart bay can be finished for a large bonus room. See 3D VT link. Golf views from this cul-de-sac home w/private backyard. Notice the open floor plan, high & vaulted ceilings, hardwoods, tile, arched openings, fireplace, built-ins & many custom features. The kitchen has new cabinets in 2015 w/soft close doors & drawers, many roll outs, stainless LG appliances, bar seating & granite countertops. On the 1st floor youGÇÖll find everything you need for single story living. 5 bedrooms with master & 2 guest beds on main level. Luxury Master Suite with a huge bath, WIC & access to Carolina room. New roof & HE water heater 2016. 1yr Home Warranty. Priced to sell! Best value in Palmetto Hall! Specimen oaks and beautiful golf views set the stage for this move-in ready home. Featuring spacious open floor plan, eat-in kitchen with counter island and SS appliances. Roomy first-floor master suite with wonderful bath, spa tub and walk-in shower with loads of windows. Large great room with soaring ceilings, 2 BR/2BA upstairs plus bonus room that could be used as 4th bedroom or office. Enjoy the relaxing screened-in porch overlooking moss-draped oaks and banks of azaleas. 2-car garage with golf bay. Freshly painted throughout the inside. A must see home! See 3D VT link. WOW! Accessed off a small cul-de-sac, this full sized Palmetto Hall home-site features gorgeous panoramic views of 10th green and 9th fairway towards the nature preserve on the Arthur Hills Course with no views of homes across the fairway. Adorned with mature oaks in the back. Walk to the Club House, Jr Olypmic Pool and Tennis Courts. Any floor plan will fit on this almost 1/2 acre home site that stretches down the signature hole 18th fairway of the Arthur Hills Championship Golf Course. Moss draped majestic oaks, gorgeous golf & lagoon views & evening sunsets make this a perfect home site to build your dream home. Close to the beautiful Palmetto Hall Club amenities which include Clubhouse, tennis, golf, pool, playground, barbecue pavilion, short & long range golf practice facilities. Privacy Abounds. 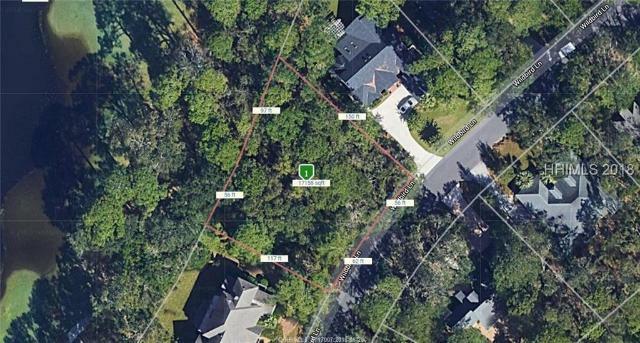 This homesite is located on a cul de sac, deep in the heart of Palmetto Hall. Overlooking the 100 acre woods from the front and back, you will love this neighborhood. There is no time frame on construction. Owning a lot is a great way to get your foot in the door for your future move to the Island. Palmetto Hall is a gated community that offers a beautiful clubhouse, community pool, tennis and private roadways. Because all owners are members to the same club located in Palmetto Hall, it creates a true community. Owners are allowed to own their own private golf carts. The architectural style is Southern Classical! Huge corner lot near the end of a cul-de-sac with golf course views. Very private and quiet. Create the home of your dreams. Lot can accommodate a large home with pool. Near front gate for convenience to amenities and much more that the island has to offer. Make sure if you are planning to build have your agent or builder to check it out. Great lot on a quiet cul de sac with frontage on the 4th fairway on the Arthur Hills course in Palmetto Hall. 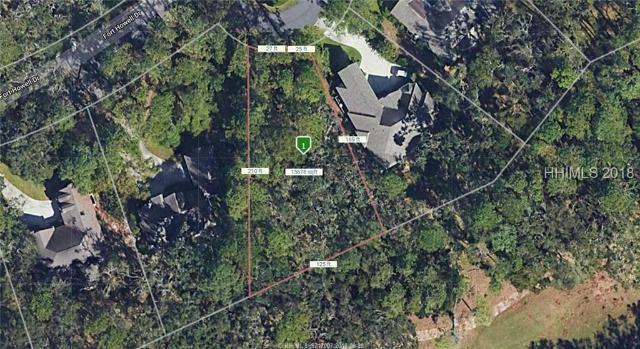 This lot has been partially cleared to make it an ideal place for your Client to build their Dream Home in Hilton Head! Beautiful, pie shaped, semi-cul-de-sac property for maximum privacy on file 15th fairway of Arthur Hills course. Walking distance to the clubhouse, Jr. Olympic pool, playground area and tennis courts. Build your dream home and enjoy the convenience of living in Palmetto Hall so conveniently located to shopping, dining, hospital, library and beaches. You can own your own golf cart too!